After our first year on the road, we blogged our first year experiences but somehow, we missed writing our second year’s. However, we didn’t want to miss sharing our third year’s adventures with you all. This year was full of surprises, marital tests, reunions, meeting new peeps, tears, cheers and every emotion under the sun. For the most part, 2017 has been very good to us and we’d like to share our compilation with our followers. This one is long, so grab your favorite beverage, reading glasses and pull up a seat! We have lots of photos to share and our adventures of this past year. We learned that +55 RV Parks and Resorts are not for us (well, for now at least!) and we humorously blogged about That’s Why They Have Wheels. On paper, we fit the age criteria, however, our attitudes and maturity did not. It just didn’t work for us. 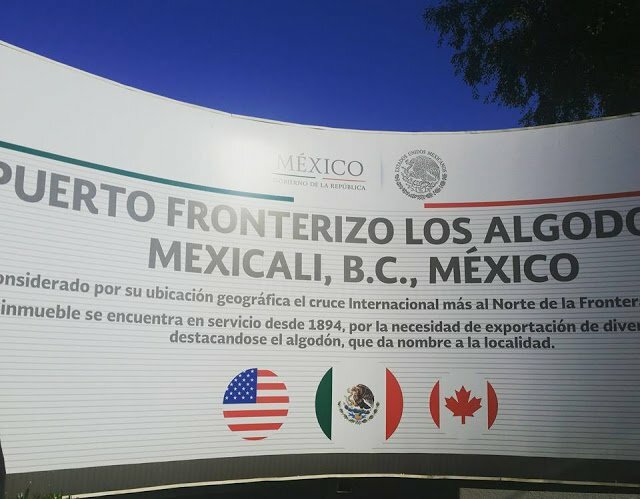 But, since we were safely parked at said park in Yuma, Arizona, we day-tripped across the border into Los Algodones, Mexico to experience our first dental exams and cleanings. We learned other RVers make their yearly pilgrimage to Mexico to take care of their dental, eye exams, and pick up prescriptions at super low prices. It’s sad that in the land of milk and honey, that Americans must go to another country to get taken care of without forking over their mortgage or first born; us included. A couple days later after being bored to death at ‘said park’, we eagerly hooked up and hauled out when we heard about the Escapees’ Xscapers Quartzsite Convergence was taking place not far from where we were. 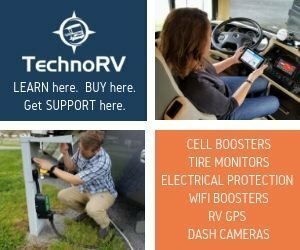 This was our first boondocking (off the grid with no utilities) experience. 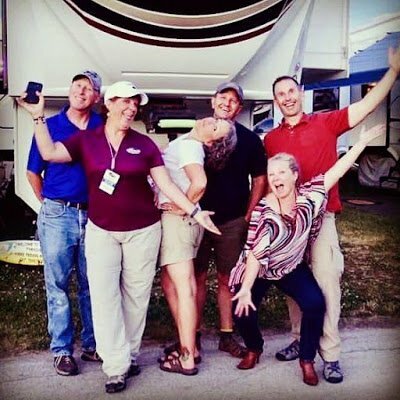 This was also our first Escapees Xscapers meetup with sixty-five other RV’s. 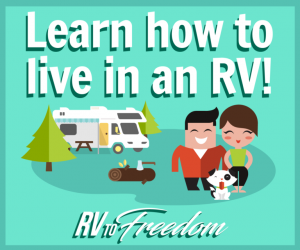 We learned so much about RVing that we didn’t know about from others who do the same as us. After this two week adventure with over one hundred new friends, we agreed that we liked boondocking and our dream of ‘going solar’ was born. After our first Quartzsite experience, we meandered to Gila Bend, Arizona to see our RV and Heartland friends Ed and Gail (Semper Fi!). 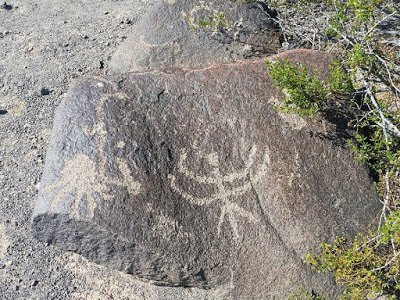 While there, we rode our dualsport motorcycles to Painted Rock Petroglyphs Site. 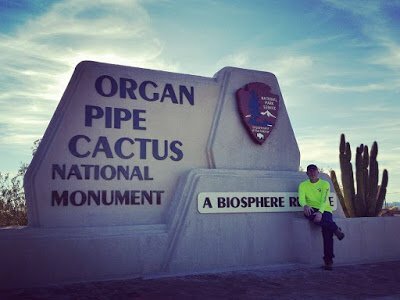 Another day, we day-tripped to Organ Pipe Cactus National Monument. It was utterly amazing! 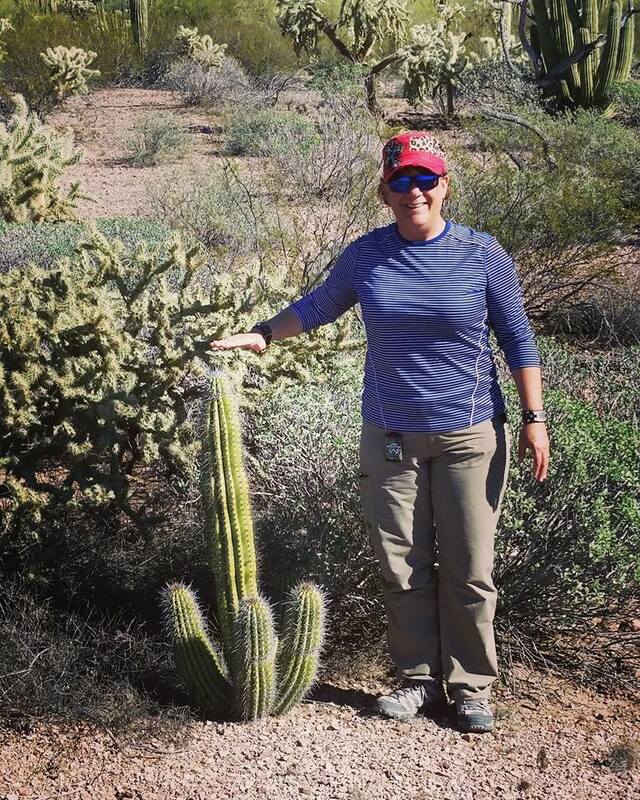 We have never seen so many cactus all in one place. We pulled up Liberty’s land anchor to slowly make way towards San Antonio. We stopped for a couple overnights in El Paso, Texas at the Sunland Park Casino. 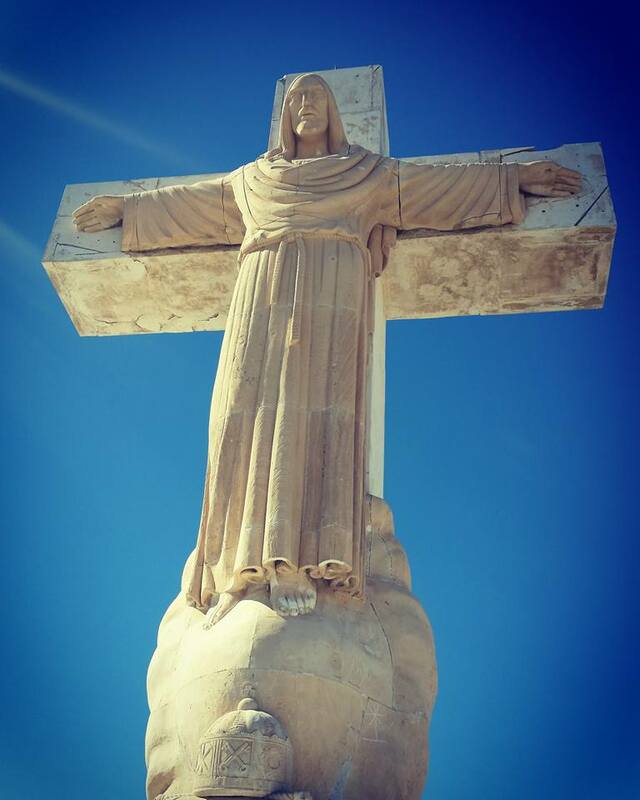 While there, we hiked to the top of Mount Cristo Rey; a four and a half mile round trip on a Catholic pilgrimage to the huge statue of Christ looking down on El Paso and Mexico. It truly was spiritually moving. It had posted Stations of the Cross with memorials of the Lady of Fatima and others. Ironically, five minutes after getting back from our hike, we received the phone call we had been dreading. 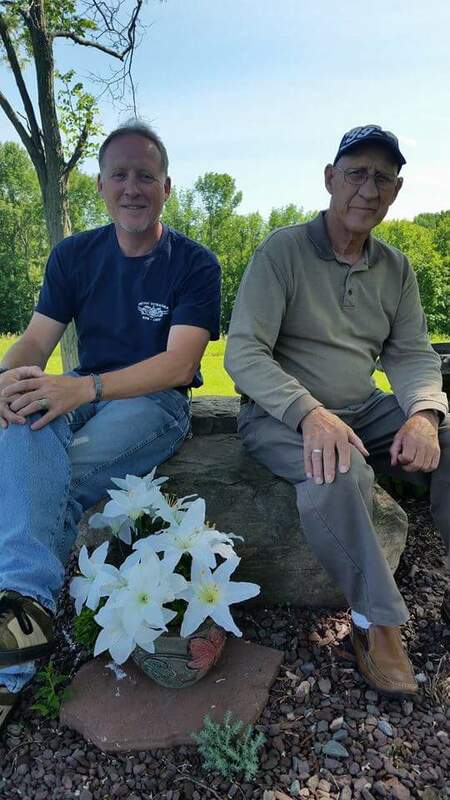 Dan’s Dad was on his own journey to heaven. We knew this day was coming, just nothing prepares you for the final outcome. He passed away from late stages of Alzheimers. This is one of the downsides of RVing; not being there in time to say goodbye and not being with family. But to be honest, we lived far away from them “BR” (before RV) that it wouldn’t have been any different. 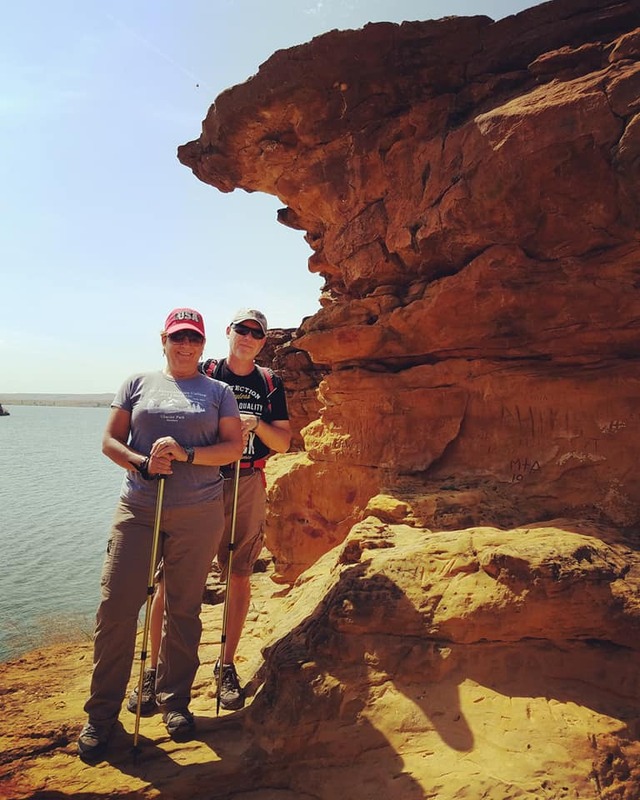 We consulted his mom prior to our launching three years ago and she insisted on us to GO and enjoy our adventures while we are still young…just like they did twenty years ago. With Liberty in tow, we then hightailed it to San Antonio to fly out to Dan’s hometown in Pennsylvania. We learned to “Depend on our RV Family” as well. Tim and Emily from OwnLessDoMore helped us with logistics while we were enroute and after, taking care of family business. We couldn’t do it without them. March was an incredibly busy month for us. After returning back to our home on wheels parked at Lackland Air Force Base in San Antonio, we converged with a few Xscapers whom we met in Quartzsite for more networking. 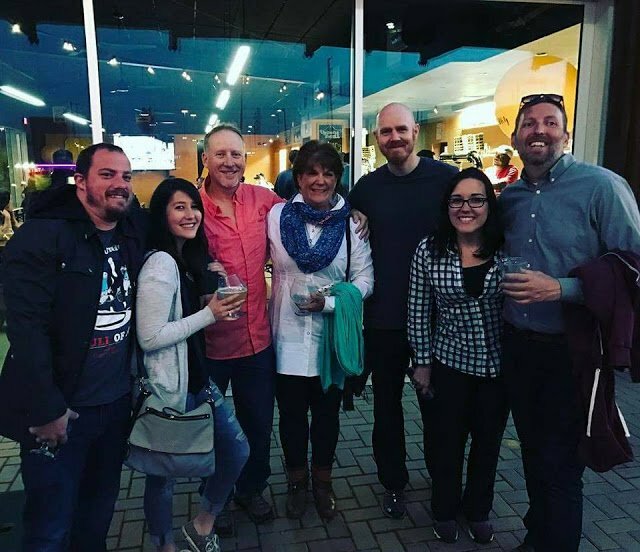 We enjoyed some brews with Travis and Melanie, President and Vice President of Escapees RV Club (left), Trailing Away’s Brooke and Buddy and Xscapers’ (our left) knowledgeable tour guide “JP” (far right). We also got our annual medical exams done while we were in San Antonio. Dan had his first colonoscopy and I ended up in the ER with kidney stones and E-Coli infection. They say it was most likely from the water in Mexico. I told the docs I didn’t drink the water…but I had ice in my margaritas…which was made from…the water. Lesson learned and won’t do that again! We learned that we should drink only out of sealed bottles or cans any time we visit Mexico. 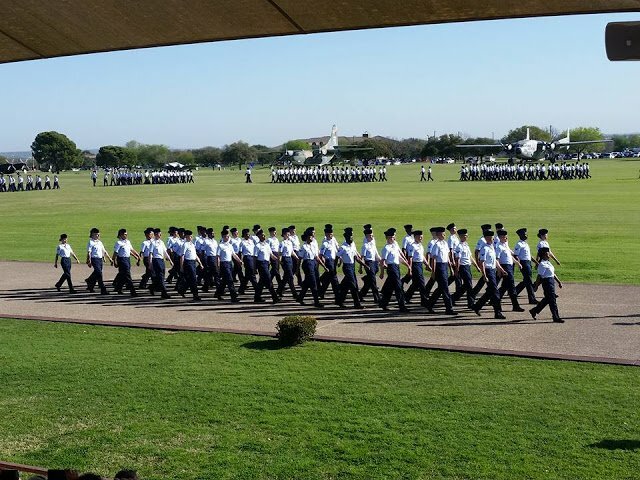 While we were at Lackland, I attended an Air Force Enlisted Basic Training Graduation. What a wonderful experience to watch the new generation of military heroes promise their service and sacrifice to our great Country. A week later, we relocated to Fort Sam Houston Army Post where it was easier for us to get our medical appointments out of the way. Parked a few sites down from us, we met ShellOnWheels Jack and Rose and their own resident mouser and spent some fun times with them. 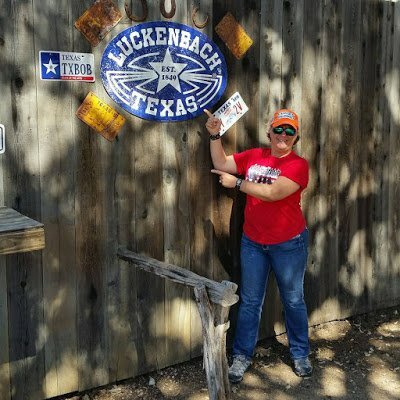 On another day (because the weather just ROCKS in Texas this time of year! ), we unhooked our Idaho Tote with the bikes from Liberty and hooked it to Captain America to go ride the Willow City Loop. 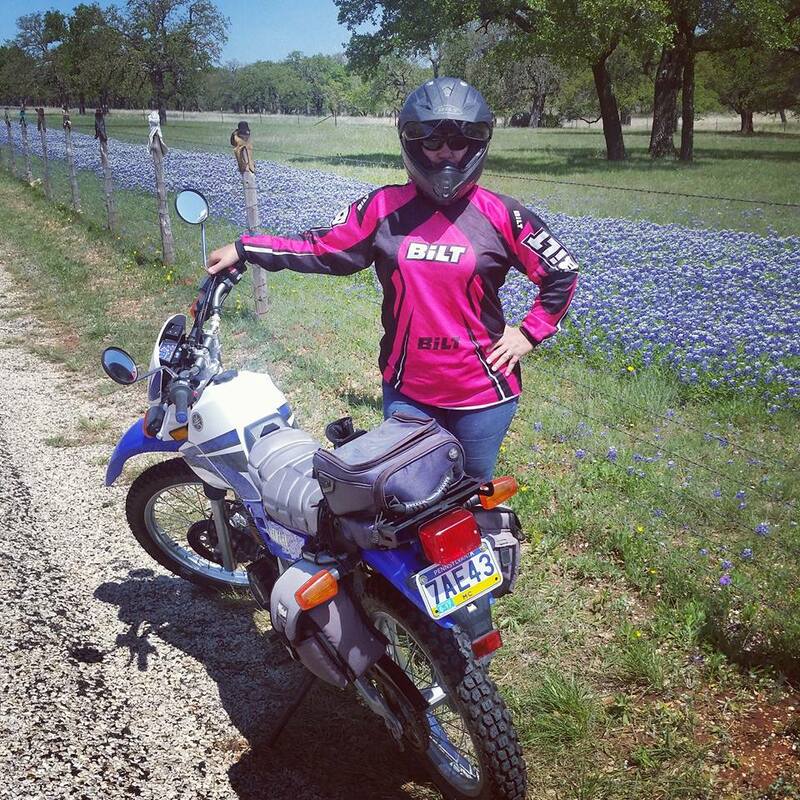 Since it was prime season for the Bluebonnets (Texas State Flower), it was perfect timing. I went on my own Bluebonnet Ride last year when I had my Harley but since it was so beautiful, I didn’t want Dan to miss out on it this year; this time on our XT’s. Unfortunately, a week later, I had a small mishap while single-trail riding mine. Needless to say, while I walked away, I didn’t escape injury; broken ribs, broken fingers, bruised shoulder and wounded spirit. I confess that I didn’t go to the hospital or doctor…or told anyone. I was so mad. That damn tree stump jumped out in front of me precisely when I was maneuvering up the 90 degree hill and midway, my bike decided it was time for a nap against a tree. I think it forgot that a fragile breakable human being was attached to it’s seat. 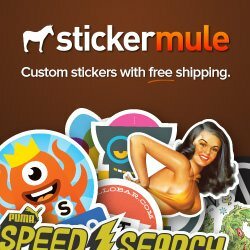 Anyways, while healing, I decided to start planning our interior mods project. We found our fabric, decided on paint colors and agreed on a theme. 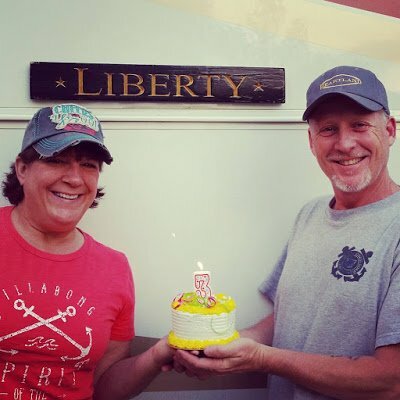 We knew this wasn’t going to happen overnight, so we researched extensively how other RVers completed their interior updates so we would get ours right the first time. 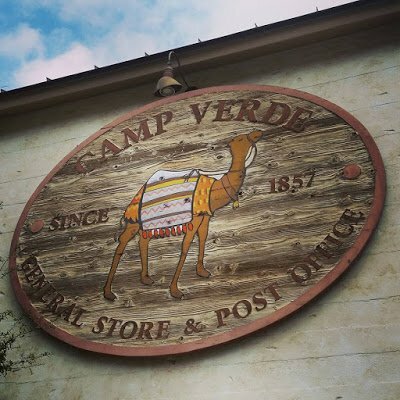 We also took a day to visit Camp Verde, Texas where we then learned that the Camel Corps Experiment history linked Camp Verde with Quartzsite, Arizona where we had been three months prior! Since the weather was beautiful that time of year, we went to Luckenbach, Texas (Yes, there is such a place!) 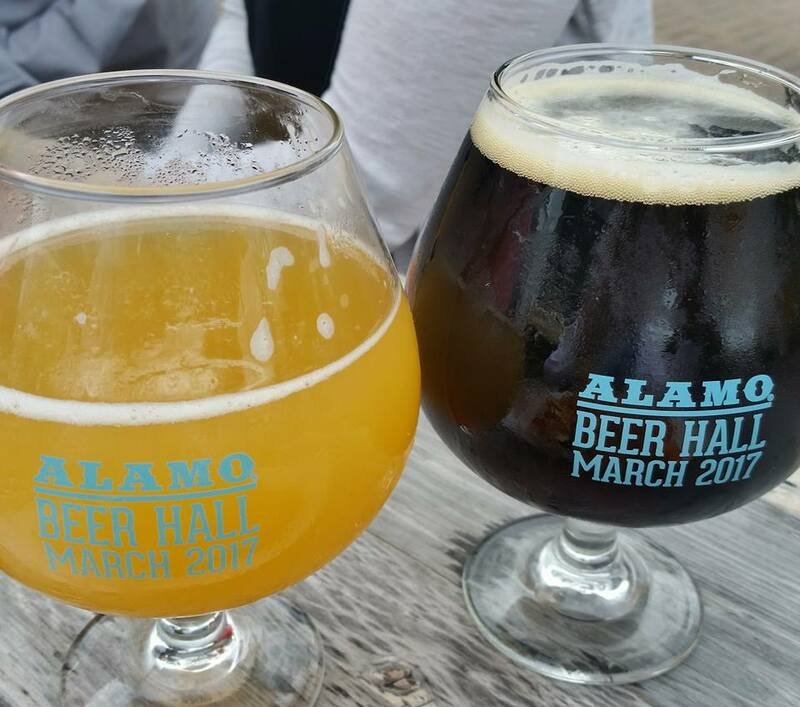 to enjoy an afternoon beer and experience the ambiance of a local musician. We were a bit disappointed that we didn’t get to see or hear Waylon, Willie or the Boys. Anytime you’re in the area, this is a bucket list ‘must do’. We also met up with a couple of our best RV friends and Coast Guard family Eric, Brittany and Caspian from RV Wanderlust while they were attending the RV Entrepreneur Summit in Fredericksburg, Texas. Though it was a short visit, we were introduced to Caspian, their infant son whom I quickly grew lovingly attached. OH, and we got to go on our very first Jeep ride! 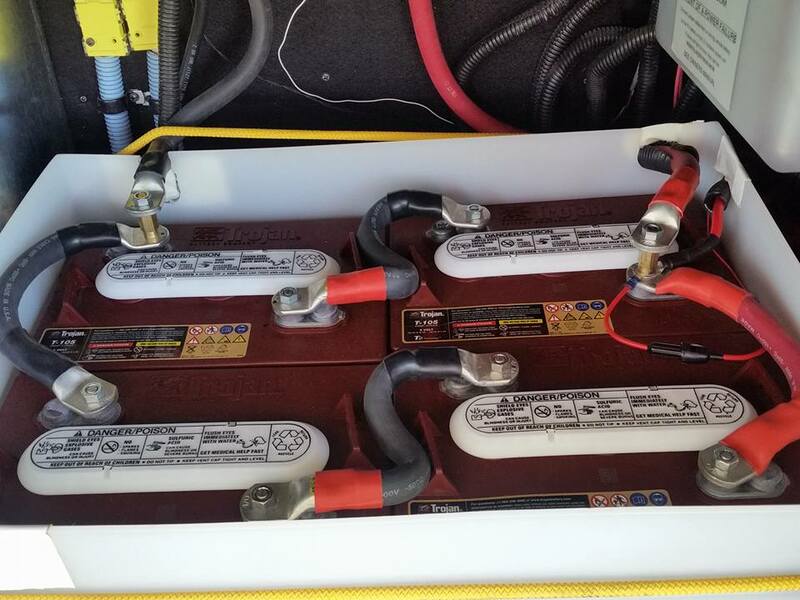 Before leaving San Antonio, Dan made it his mission to complete our Stage 1 Solar Project; replacing and installing our new batteries. 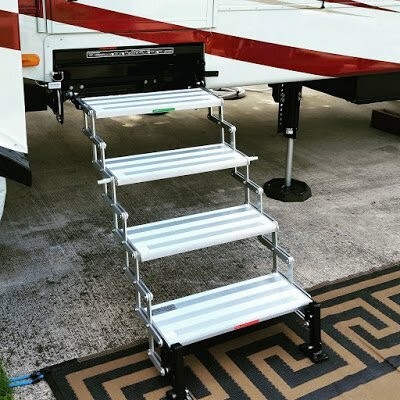 We also installed our new Torklift Revolution GlowSteps. On my birthday in early April, I was gifted with the most awesome phone call from our son and his wife! They announced that we were going to be grandparents! Funny, as I write this, we’re in Minnesota waiting for our Grandson’s arrival! It wasn’t too long after that we left Texas hauling full speed ahead to make way towards our former home near Louisville, Kentucky. Once we got on the road, we enjoyed our new surroundings at Willow Beach, Arkansas near Little Rock. 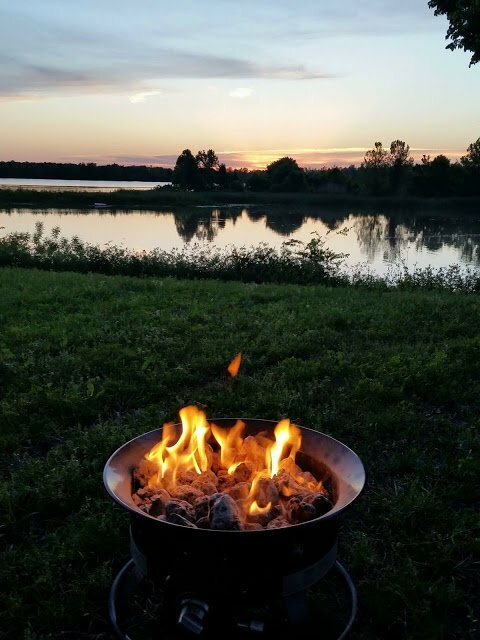 We visited the Toltec Mounds State Park and enjoyed some long awaited campfires and cocktails while watching the sunset over the Arkansas River. 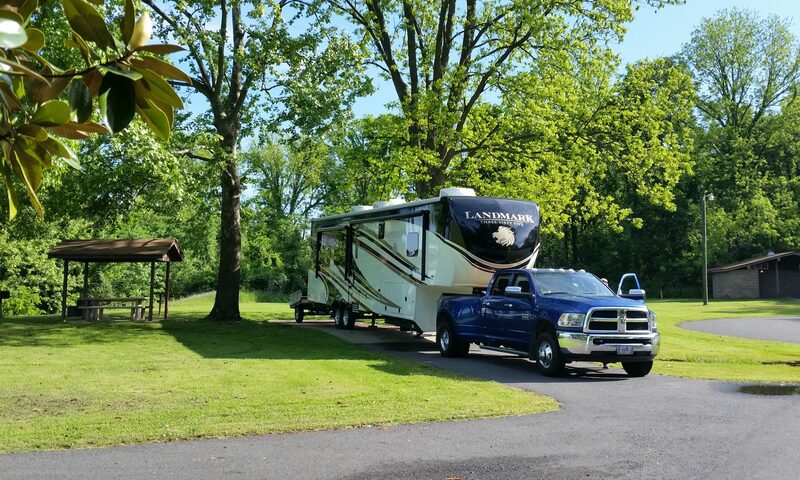 We arrived at our old stomping grounds in Taylorsville, Kentucky, where our dream of RV travel was born. While Dan rented a car and drove home his hometown in Pennsylvania to visit his mother, I stayed behind with our resident mousers. I took in some Kentucky Derby festivities and got some writing done. Once he got returned, we took Krissie and Kandi for their well-baby checks and immunizations, had several lunches and dinners with friends, rode some back roads on our dualsports, and our monthly maintenance of Liberty. We were quite busy. 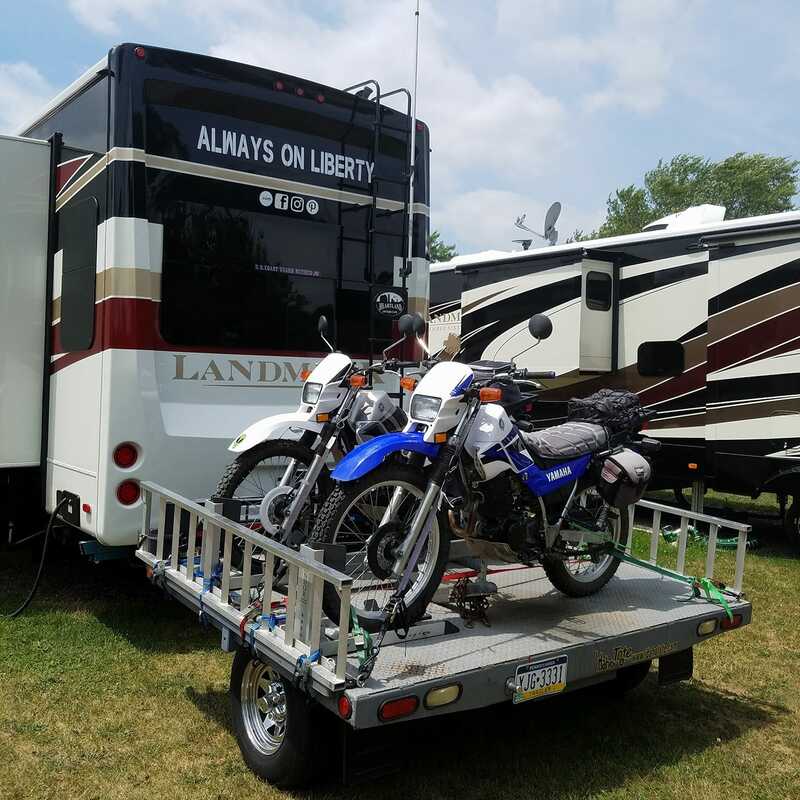 We also welcomed two of our RV families, More Than a Wheelin Bryce and Camille and OwnLessDoMore Tim and Emily, to park with us. Dan and I took a day to visit Our Old Kentucky Home; Kentucky’s State Capitol, Frankfort and toured the Woodford Reserve Bourbon Distillery. 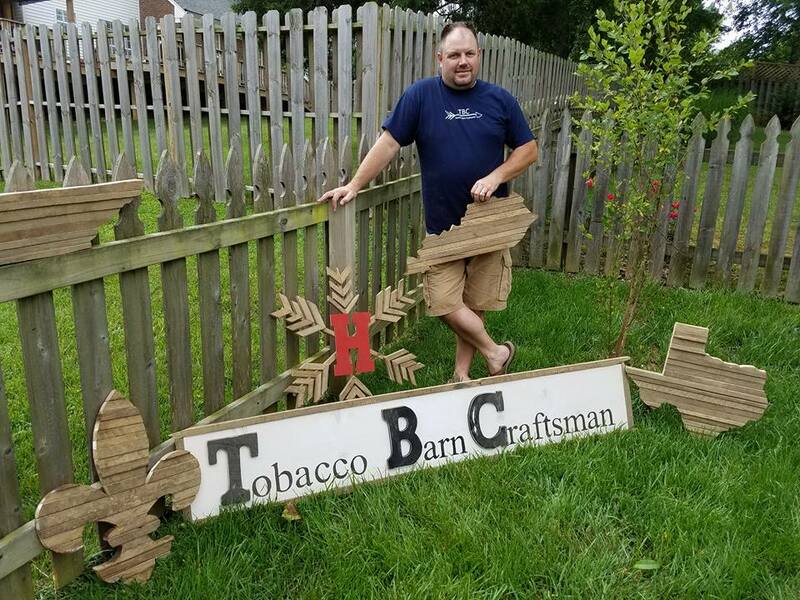 Right before leaving Kentucky, we learned about Kentucky’s tobacco farm history and toured the Tobacco Barn Craftsman’s workshop. We arrived in Goshen, Indiana for the Heartland Owners Club North American Rally. As members of the Core Team, Dan and I assisted in making the rally a booming success. Dan helped with parking logistics and made his presentation on RV Maintenance and I was the club’s social media coordinator and photographer. 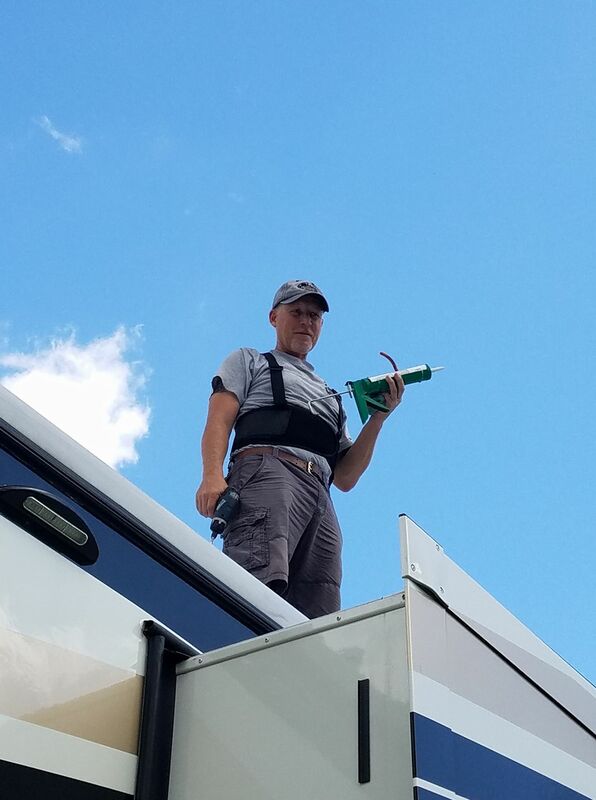 The pre-rally and rally kept us busy for three weeks, meeting lots of new Heartland RV owners, revisiting old friends and learning more about our Heartland products. We toured several cool places while we were in Indiana; the RV Hall of Fame Museum, Cook’s Bison Ranch, Studebaker Museum, Notre Dame University, the Amish Countryside, and Bender’s Camel Dairy Farm. 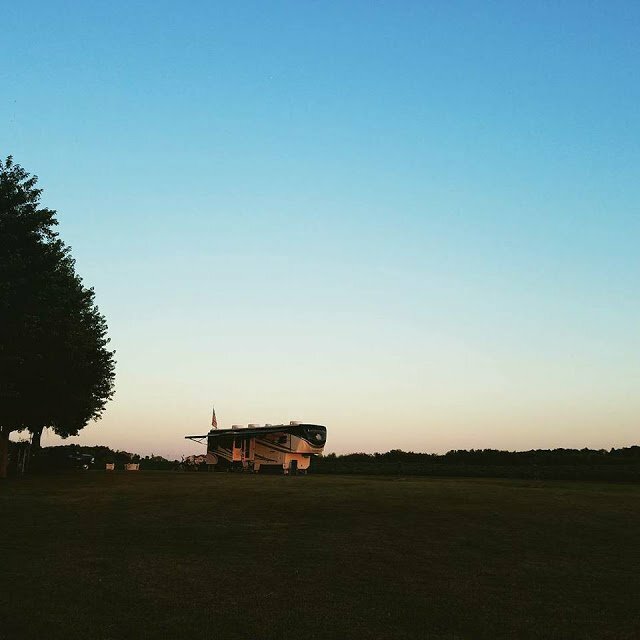 Watch our blog “Northern Indiana Travel Series”. While we were at the Rally, we met up with our dear friends Marc and Julie from RVLove and Tim and Emily from OwnLessDoMore! 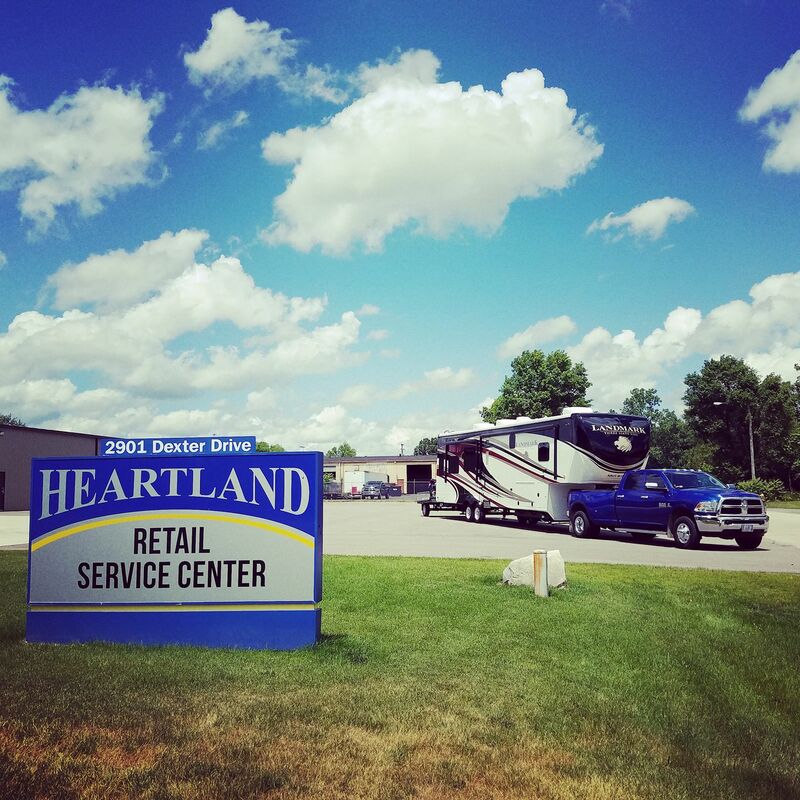 The day after the rally ended, we relocated to the Heartland RV Service Center in Elkhart to have our warranty repairs completed. We also took a much needed reprieve to enjoy the Elkhart area for a few days before getting to back to work. Once our warranty repairs were completed, we replaced our Induction Cooktop with a propane gas cooktop (which is HUGE for when we boondock!) and installed our HighTec Solar Panels on our roof and connected them to power our RV. Dan is incredibly smart, however I never knew my dude had a bit of geekery in him. Needless to say, we can run on solar flawlessly! He’s such a hard worker taking care of all the engineering and maintenance of Liberty. 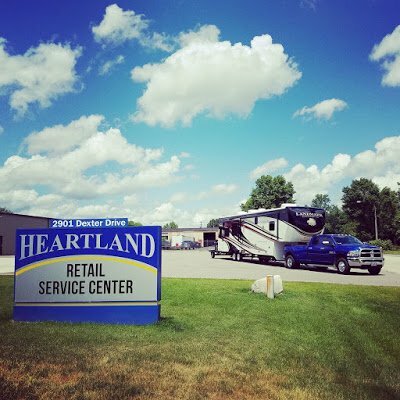 While Dan was busy installing our solar panels, I met with Heartland RV’s Social Media and Marketing team to discuss my continuation as one of their on-the-road Bloggers. I agreed to continue for the year. 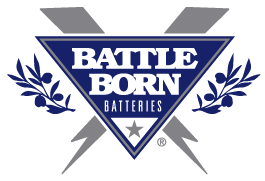 I love blogging for them and they’re an awesome company to work for. Coincidentally, the same time, I also agreed to blog for Outdoorsy, an RV Rental Venue where those looking to experience RV life can rent from RV owners. While we were in Elkhart, we met up on different occasions with Paul and Nancy and their two adorable Corgis, Macy and Jake, from OurSomedayIsNow. 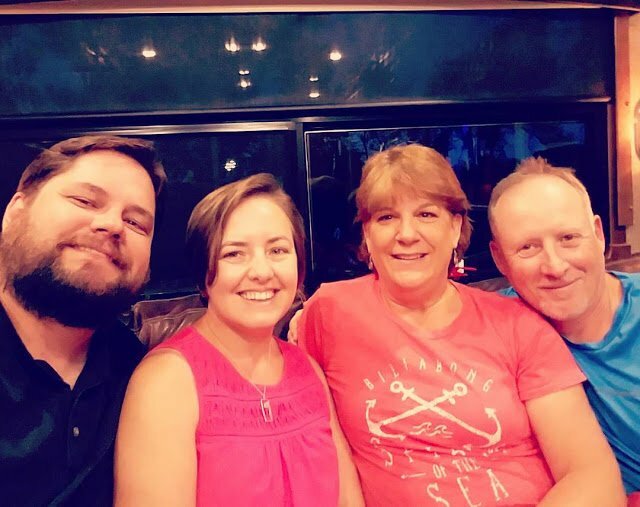 We also met up with Marc and Julie from RVLove and Brandon and Kerensa from RV to Freedom and Drive Dive and Devour or a few networking lunches which as always, were fun. We all learn from each other, and of course, taking in some of the local eateries is always a plus. 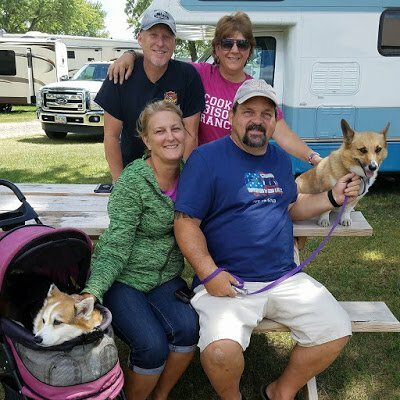 It was time to make our way to Minneapolis, Minnesota to spend a month with our son Dana, his expecting wife, Kelsi and their three “very lively” Blue Heelers. We parked on a farm where we tested and lived off of our self-installed solar power, water and tank modification and moderation. Though they have their own lives of working their Corporate jobs, we still got to spend quality time with them. We, along with her parents, got together and bought the baby nursery furniture and spoiled their new little bundle of joy with lots of new attire. We spent some of our down time doing chores on the small farm. Sadly, our resident mouser Krissie, all of a sudden, became sick and frail. She lost a lot of weight and became very thin, her fur unkempt, eating and drinking ravenously. We took her to the small town Vet where she was tested. She was diagnosed with diabetes which threw us for a whirlwind loop of research, diet change, and learning to test her blood. We had to learn how her illness would be affected by our nomadic lifestyle. We all quickly adapted. 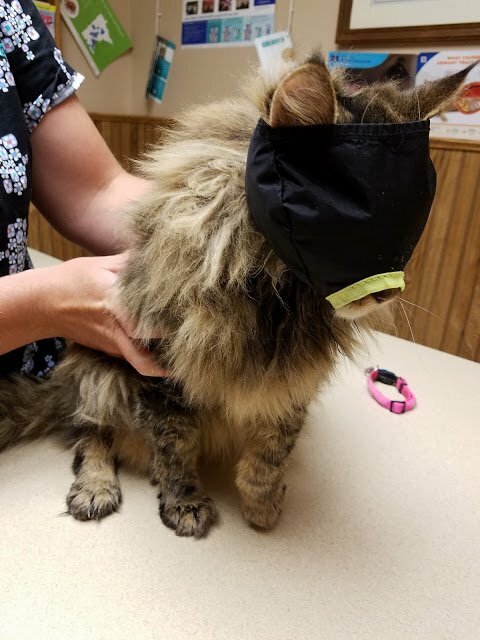 Working with her Vet in Kentucky, we got her on her necessary dietary and medical regimen getting her back to her previous sweet disposition. It was time to leave Minnesota as Autumn was starting to make its presence known and Krissie’s new diabetic regime was on track for better health. After saying our goodbyes to our family, we headed to Broken Bow, Nebraska to visit our friend, Dustin. Long story short, Dustin rescued us several years prior while we were on a cross country motorcycle trip. We became friends online since. We’ve visit him each time we pass through Nebraska. 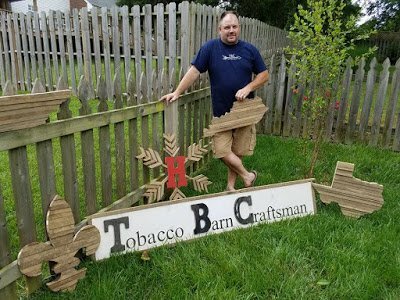 This time, he took us on a couple field trips showing us around the farm country he lived in. He even took us to meet his parents who also RV part-time. 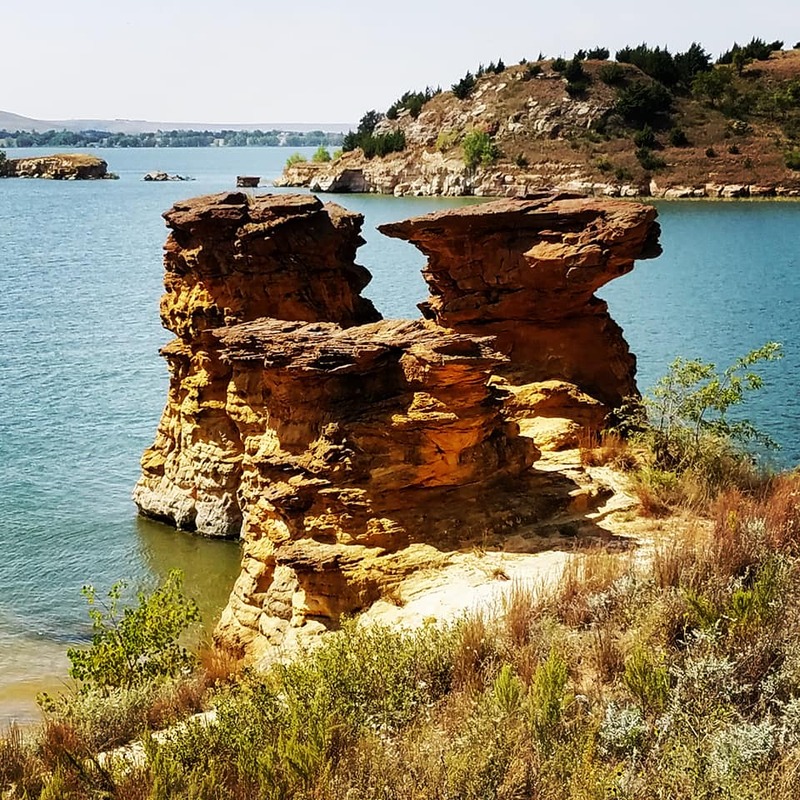 After our week in Nebraska of filling our guts with organic beef every day, we headed to a couple Corps of Engineers Campgrounds in Kansas and Oklahoma to detox our colons. While in Kansas, we learned about the Post Rock Scenic Byway. 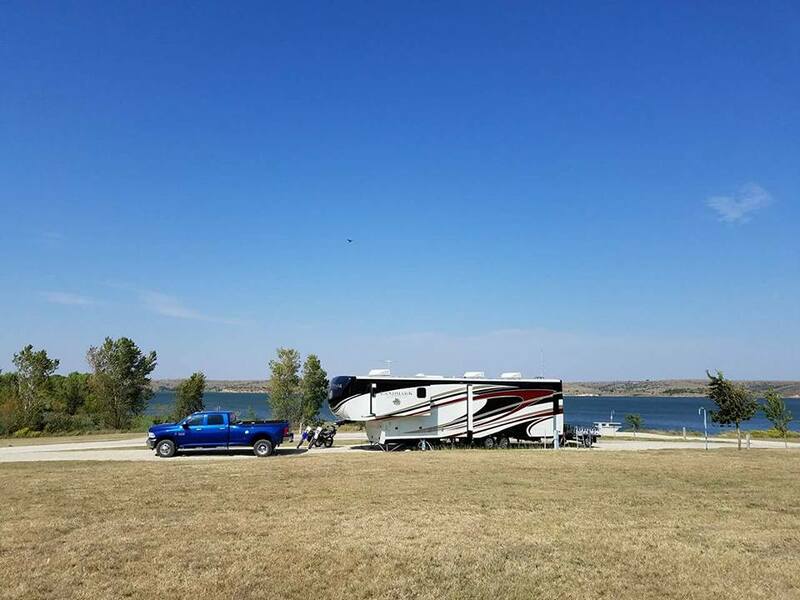 Our site in Kansas gave us a spectacular water view. We met another couple who we yearn to camp with again next year. They too, recently became grandparents! We visited the small towns of Lucas, home of S.P. Dinsmoor’s Garden of Eden and Wilson, the Czech Capital of Kansas. We also took a short hike the Rocktown Trail and Natural Area. In Oklahoma, we stopped for a few days at Corps of Engineers Park in Fort Supply. There, we enjoyed some good old fashioned ‘sit back and relax’ time. We parked at our site under the trees and did nothing…seriously, ‘nothing’. It felt good. 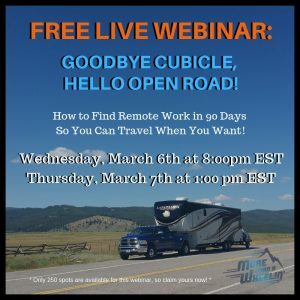 Even full-time RVers need those ‘do nothing’ days. 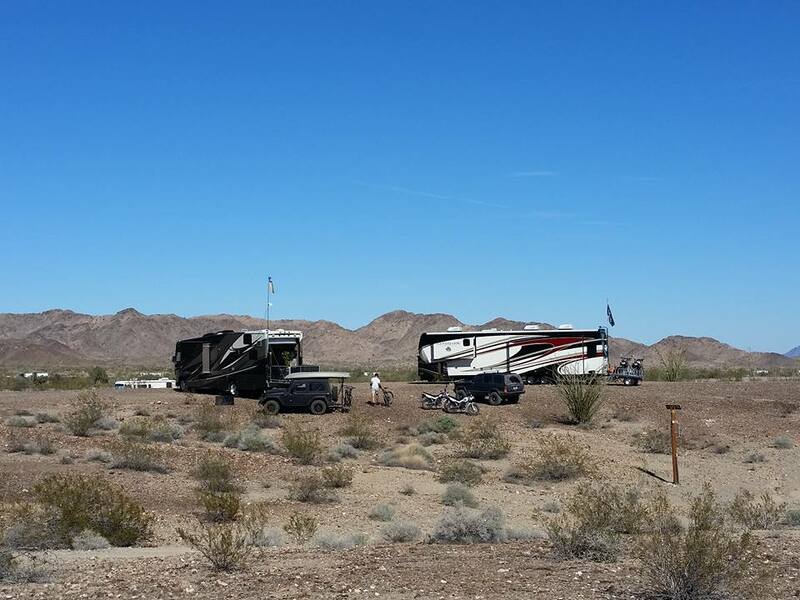 We returned to one of our favorite late fall RV parks, Wine Ridge RV Resort in Pahrump, Nevada. 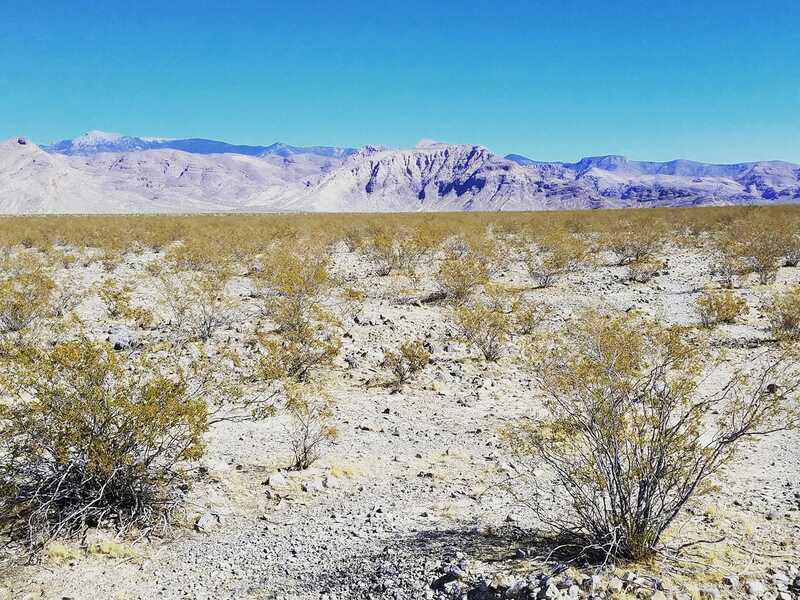 We had such a great time the year prior, so we made our reservations to enjoy the mountain desert on the boundaries of Death Valley. You can’t beat these beautiful views! While parked there, we enjoyed some beautiful sunrises off our stern. Taking advantage of the awesome temps, I solo hiked from our RV to this mountain and back in about six hours…and no, it’s not flat terrain! Later, Dan tasked himself with painting the inside of our RV’s living area (galley and living room area) while I flew back to Minneapolis to help Kelsi’s mom host the baby shower. Still in Pahrump, big things happened. 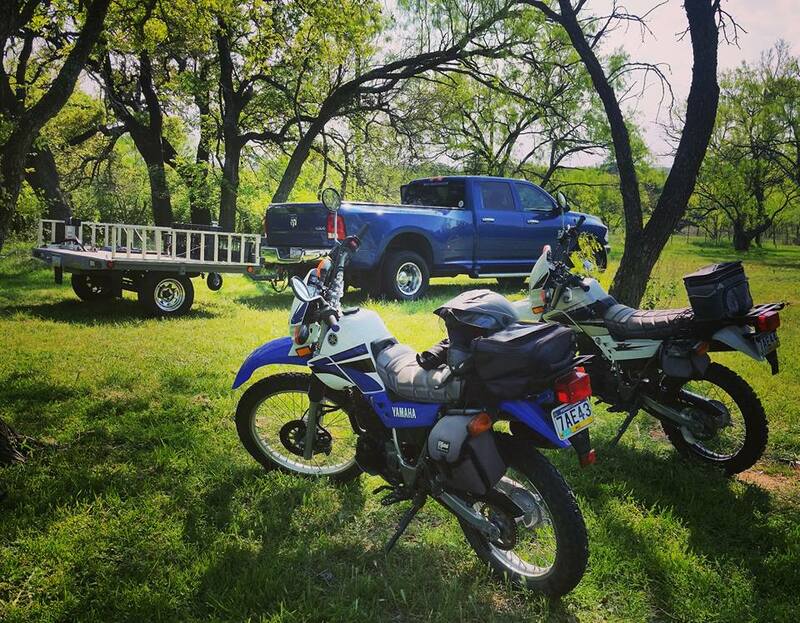 First, we decided to sell our two Yamaha XT225 dualsport motorcycles because I just couldn’t psychologically move forward from my wreck in San Antonio. Though I physically healed, my mind just didn’t. I will need more time. Until then, it made no sense to keep the bikes hoping that one day, I may gain my courage back to get back in the saddle. Since selling the bikes, it didn’t make sense to keep our Idaho Tote that hauled them off the stern of Liberty, so we sold that too. Next, we continued our RV Interior Makeover inside Liberty’s living room and galley space. We sold our sofa and replaced it with a huge writing table so I could blog and research without packing up everything before I even got started. With the walls painted by Dan in October, we then replaced the backsplash behind the gas cooktop and Dan installed new flooring. 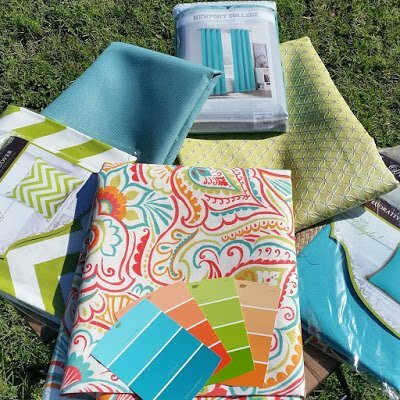 We recovered all of our cornice board window treatments. I found a traveling artist who just so happens RV’s, who painted a few art pieces that I framed and hung. Oh, there’s a lot more we did, so look forward to seeing that! We’re really close to being complete in the main living area of Liberty. A miracle happened to Krissie! She bounced from being full blown diabetic to remission! After a hypoglycemic scare, we rushed her to the Vet ER in Las Vegas. After triage and getting her blood glucose levels back to a manageable point, two days later, she went into remission. Was it because we changed her diet from dry food to wet canned food? Was it only temporary due to another medical issue? We don’t know but she’s doing well. She’s playing a lot more and is nicer to all of us! 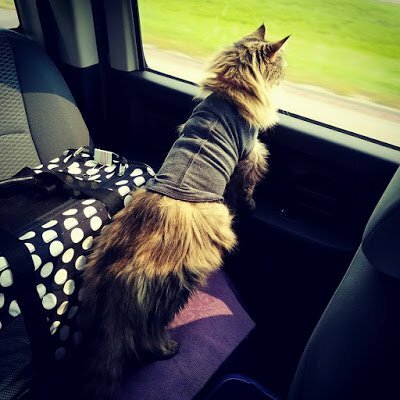 As I write this, she’s been in remission for a month. Let’s pray she stays that way. 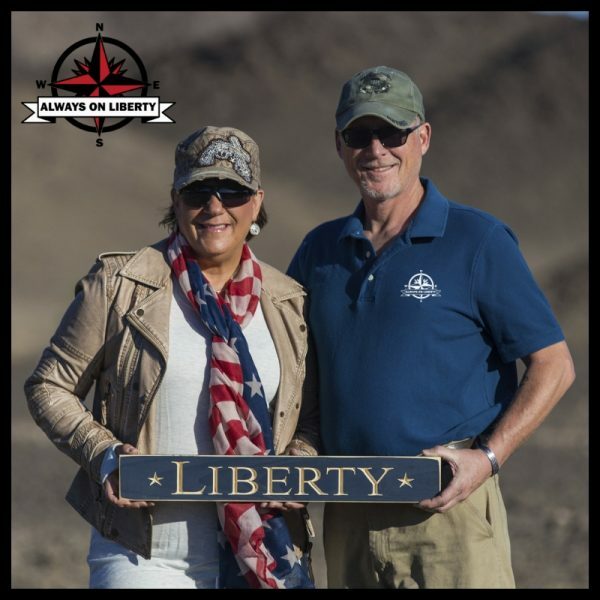 Oh, and let’s not forget a couple of our friends we met at the Xscapers Quartszite Convergence this past January decided to join us for a few weeks and enjoy the Death Valley National Park, the region and quiet naturistic desert life, David and Cheryl from Landmark Adventures. We showed them around at Shoshone, California which Dan and I toured last year. 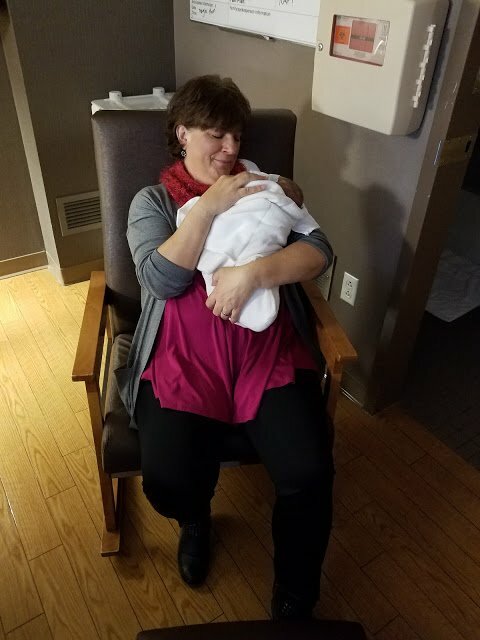 Finally, welcomed our first grandchild, Declan on November 28th! This definitely changes things about some of our travel planning. We are thrilled for our son Dana and his wife, Kelsi with their three Cattledogs! 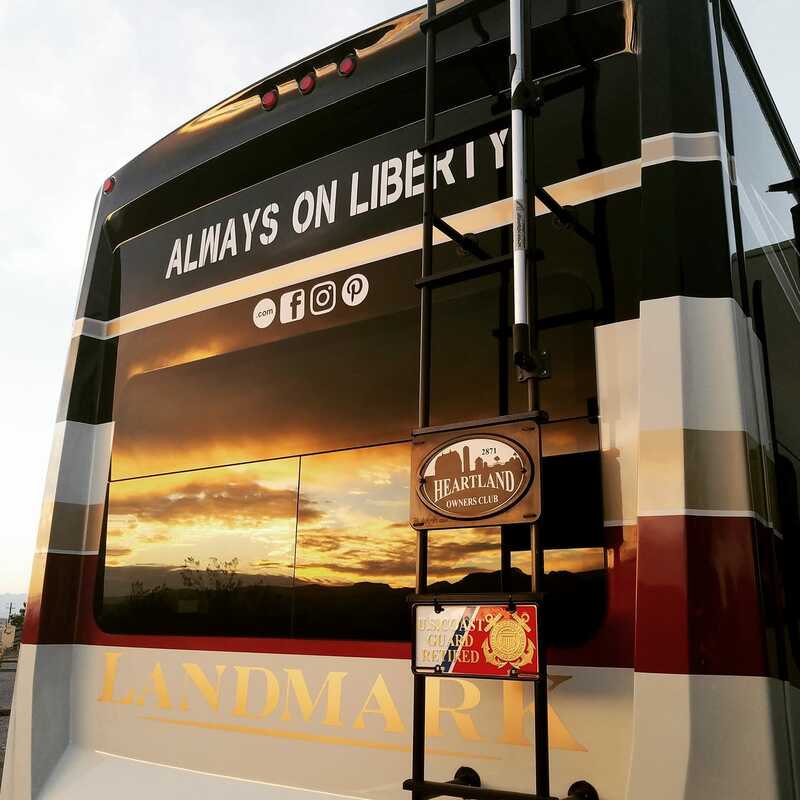 We were wanting to wait until the Xscaper’s Quartzsite Bash in January reveal our Liberty Interior Mods however, we’re thinking we’re going to step it up and do it before Christmas! Sounds like perfect timing! So keep your eyes peeled on our Facebook, Instagram and our blog! So, that’s our condensed ‘2017 YEAR IN REVIEW”. 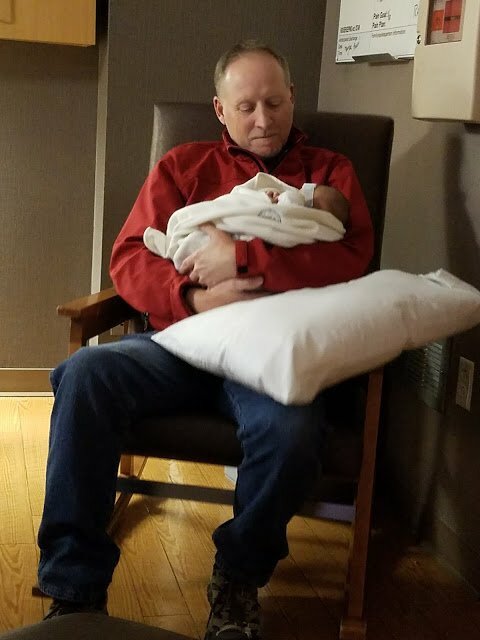 Lots happened, our first grand baby was born and we lost Dan’s dad. 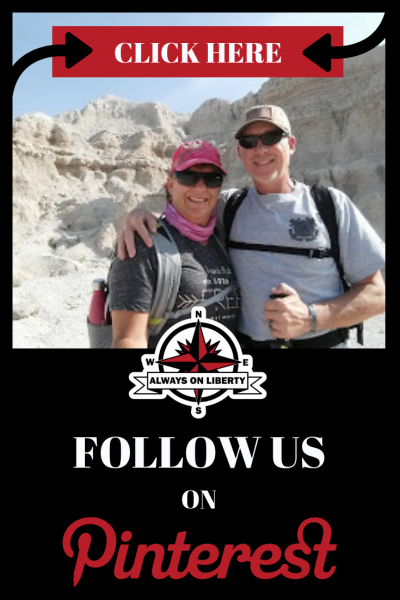 Lessons were learned, new places visited, improvements and modifications made to Liberty and our bodies certainly were tested. We have no plans of quitting any time soon. We still have a whole bunch to see and do! We keep adventuring, hiking and exploring. We are still learning about our Country’s history, cool places, people we meet, and of course, ourselves. Though we will remain RVing nomads, we will also be on a new journey as grandparents and we believe we can do both! Yes, things will change for us. Our destinations will be more calculative as we will be visiting our family’s Minneapolis suburb a more often. We will be spending summers, late springs and early autumns with them. 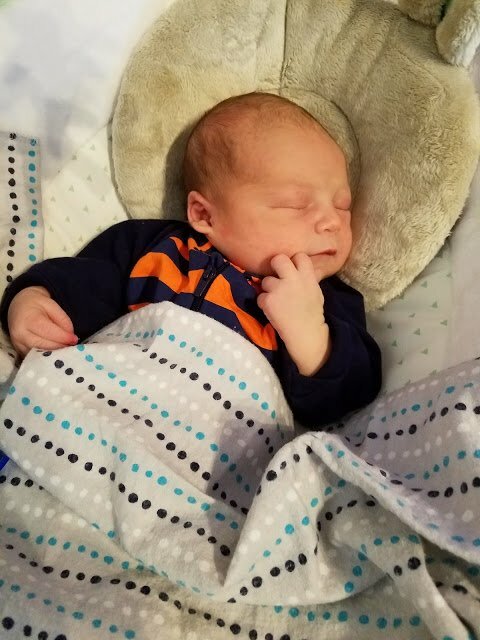 We also will be flying every Thanksgiving to celebrate our little grandboy’s 1st, 2nd, 3rd and all the way up to his 18th birthdays. 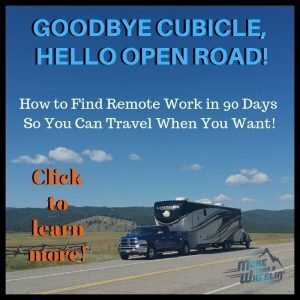 Other RVing nomads do it, so will we! …Underway is the only way! 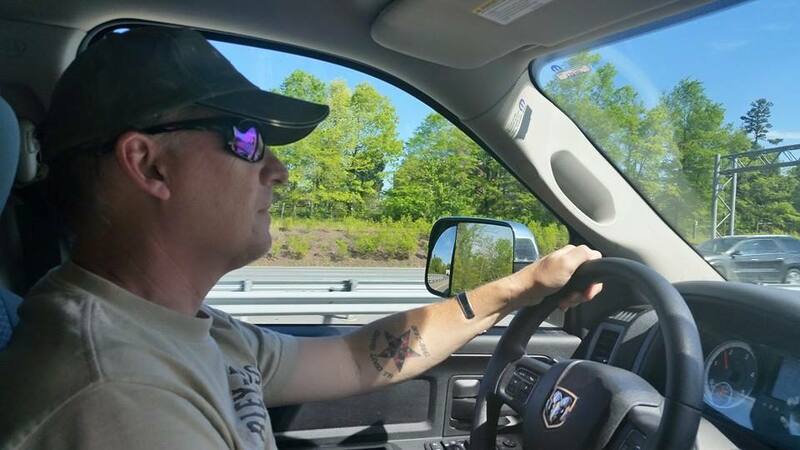 “He loved to travel with Dan’s mom in their own RV several years ago. We miss your stories of your adventures, Dad! Previous PostPrevious RV Nomads Movie Cast Has Gone to the Dogs (and Cats! )!